We recommend that kids between 7 and 12 see an orthodontist for a consultation. Consultations are always free - our orthodontist will look for tooth crowding and jaw misalignment. Early intervention can make it easier to fix both issues. While we focus on kids and teens, we do offer braces for adults too! 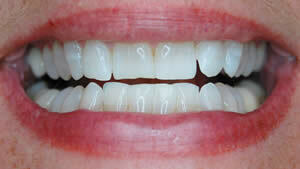 We also provide whitening gel for use with retainers after braces are removed. Ask us for the details. Our top priority is to offer the highest quality and affordable orthodontic care in a friendly and comfortable environment. Dr. John Keating is a dual-trained and certified specialist in Pediatric Dentistry and Orthodontics for children, teenagers, young adults, and the young at heart.